Author of "My Big Toe" (MBT) trilogy Physicist Thomas Campbell explains what happens during the Double Slit Experiment and why it happens. Can someone explain the "double slit" experiment? 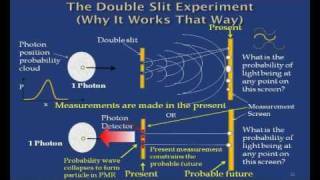 Can the double slit experiment be logically explained?